Why simply arrive at Heathrow when you can arrive in comfort, convenience and style? Mercedes Chauffeur Hire offers personalised, professional and luxurious Heathrow airport chauffeur transfer service. 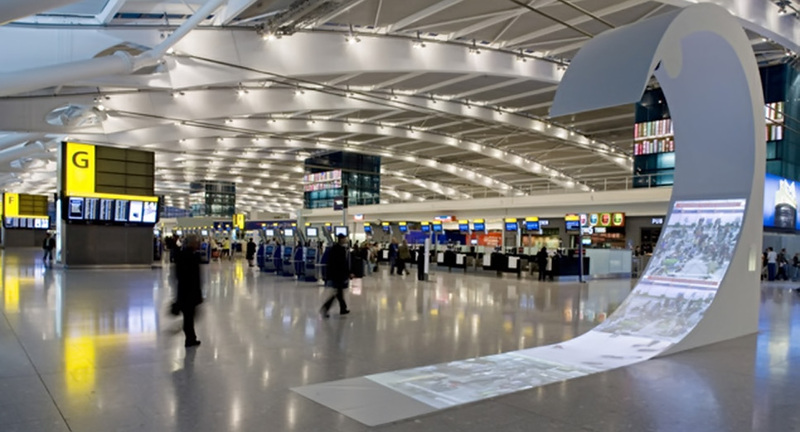 Heathrow is one of the world’s busiest airports with millions of passengers, crew, cars, trains, buses and planes passing through its doors each week. Avoid the hustle and bustle with a Heathrow airport chauffeur, providing a seamless door-to-door service in the well-appointed confines of a Mercedes S Class or Mercedes Viano, as befits your party size. Your Heathrow chauffeur will arrive to collect you a full fifteen minutes before your specified time. This gives you the freedom to make final preparations for your trip safe in the knowledge that you’ll be making a timely departure from your home or office. Using detailed traffic reports, your uniformed chauffeur will plan the optimum route to the airport, avoiding delays en-route. With the peace of mind that comes from knowing traffic hot spots and road works will be circumnavigated, you can sit back, relax and enjoy the vehicle’s many amenities. Upon your return to Heathrow after your trip, your chauffeur will await you in the arrivals hall. A clearly displayed name board and luggage assistance ensures as quick a departure from the airport as possible, so you can make the most of the rest of your day. And, because we use the latest flight time information and offer a free 30 minute wait period, any delays caused by late flights will be minimal whether you land ten minutes or two hours behind schedule. A Heathrow chauffeur doesn’t need to be reserved only for special occasions. For your next holiday, why not consider using one of our service to get you to the airport refreshed and on time? With no traffic to deal with, baggage to wrestle with or airport parking to find, your getaway will begin the minute you lock your front door. Upon your return, your chauffeur will be ready and waiting to whisk you home, stretching out the feeling of a break from reality until the front door closes behind you. Mercedes Chauffeur Hire offers the perfect way to travel to and from Heathrow Airport’s private aviation terminals. A truly luxurious door-to-airplane-to-door service, we take care of every last detail from arrival to departure. Your Heathrow chauffeur will arrive a full quarter of an hour before your requested collection time with a carefully planned route to the terminal, devised with the aid of up-to-the-minute traffic reporting. Eliminating road works and traffic hot spots, you can rest assured that your journey will be stress free, efficient and truly luxurious, backed by the peace of mind that comes from knowing your Heathrow airport transfer is in world class hands. We use state of the art, real time flight monitoring software so no matter how early or late your corporate jet arrives back at Heathrow, we will be there on time every time. Waiting on the runway for you to disembark the plane, you need only settle yourself into the car before being chauffeured away to your final destination. Complimentary refreshments, mints and newspapers are provided in each chauffeured car.